Digital advertising has been growing exponentially in Asia and worldwide with multiple Thai companies servicing the industry for over a decade. These digital advertisers, brands, and marketers understand the value of digital advertising as a media necessity in essentially growing and reaching their target audience. A group of established companies servicing digital advertising in Thailand realized the impact and significant growth of this new media. 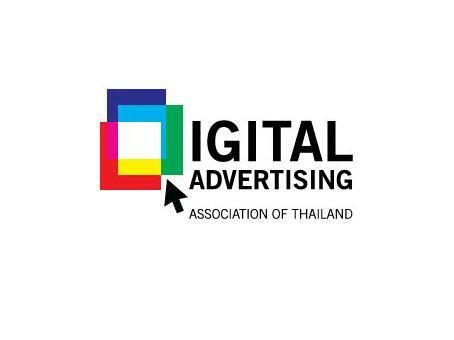 The simple goal of this committee, the Digital Advertising Association of Thailand among digital companies and advertisers as a whole, is to benefit the industry, companies, and consumers under the same direction. With collective support, advertisers should elevate the industry at the highest levels in the future. After careful consideration, this committee officially established the Digital Advertising Association of Thailand (DAAT). Siwat Chawareewong, CEO at mInteraction, said, ?The main objectives of the DAAT are two-fold. 1. To publish the value of digital advertising, create reliability, educate and development of human potential in the advertising industry, and share digital advertising know how for the industry as a way to increase efficiency and demand of digital advertising into the industry. 2. To foster cooperation with each member in order to raise the standards of vocation and morality in digital advertising.? Comment: We asked Siwat more in detail, he said in the way that the origin of this association is all about lacking information. There is no official number for digital advertising revenue in Thailand. They have to do something. He believes this association will be great benefit to their member such as, knowledge sharing, audience measurement tool, research and so on.? In my opinion, I do agree with Siwat that it is a great benefit to Thai digital business. It would be something big and interesting like what IAB did in other country.